The Nissan GT-R Nismo is amazing -- and amazingly expensive. This wasn't your typical Toyota C-HR. The 2018 Nissan GT-R offers supercar levels of performance and handling at a price starting below $100,000. Here's something you may not have known: if you're looking for an early Nissan GT-R with high miles, you'll probably spend less than $50,000 on one. Early GT-R models with higher miles are now in the high-$40,000 range, which officially gives them the status of "a lot of car for the money." For a refresher, the GT-R first came out for the 2009 model year, and early ones had a 480-horsepower twin-turbo V6, Nissan's highly advanced all-wheel drive system and tremendous performance numbers. 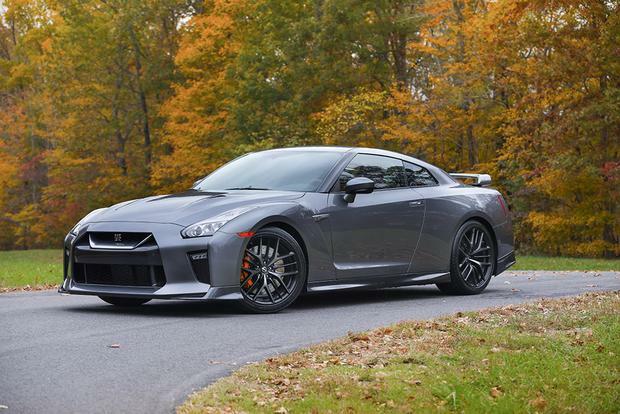 Over time, the GT-R has been modernized, updated and even added to with a new "NISMO" model, but the standard GT-R still looks and performs similar to how it did back in 2009 -- except now the base price is over $100,000. So what do you get if you spend less than $50,000 on a GT-R? There are currently three sub-$50,000 GT-R models listed for sale on Autotrader: two with over 50,000 miles, and one with just under 40,000 miles. The sub-40,000-mile car has an accident reported on its Carfax, suggesting that these GT-R examples aren't exactly the cream of the crop, but that's no surprise if you're buying the cheapest of the lot. Maybe more surprising is the fact that, for the low-$50,000 range, you seem to be able to buy a fairly nice one: a relatively unscathed GT-R with around 30,000 miles, like this one. So even though the "under $50,000" price tag might be appealing, it may be worth spending a little extra for a better car. Of course, there's no way to know if these cars were modified and then returned to stock, or if they've been driven hard, but such is life with used GT-Rs. Regardless, the GT-R is an amazing car -- and it was an amazing car when it cost $80,000 as a new model 10 years ago. Now that it's around $50,000, and you can pick one up for about the same cost as a nice BMW 3 Series, it's an especially good deal -- though, as with anything, you must read up on maintenance and repair costs, as the GT-R isn't exactly an Altima when it comes to ease of ownership.